The place of fall or discovery: Bloody Basin, Yavapai County, Arizona, USA: φ = 34°10′ N, λ = 111°43′ W.
Date of fall or discovery: FOUND, September, 1964. Class and type: IRON, coarse octahedrite. Circumstances of fall or discovery: The meteorite was found by A. Morriston while hunting. The meteorite is preserved in the collections of Arizona State University (Tempe, USA). Source: Report of Dr. Ch. F. Lewis (Tempe, USA) in a letter, 11.9 1965. The place of fall or discovery: Near Fair Oaks, Yavapai County, Arizona, USA; φ = 34°44′ N, λ = 112°44′ W.
Date of fall or discovery: FOUND, October, 1937; brought to scientific notice in 1964. Circumstances of fall or discovery: The meteorite was found by J. Coates while hunting. 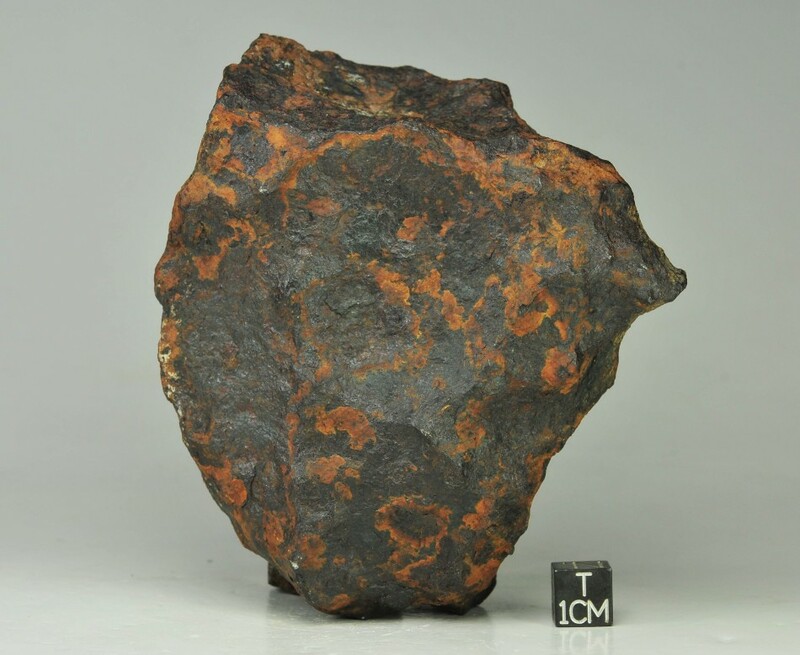 The meteorite is preserved in the collections of Arizona State University (Tempe, USA). OILDALE, Kern County, California, USA; φ = 35°25′ N, λ = 119°0′ W.
50.1 gr, in Inst. Meteor., Univ. New Mexico, USA. Place of find: West slope of Panamint Range, Inyo County, California, USA. Date of find: Between 1950 and 1964. Class and type: Iron. Coarse octahedrite. Ni = 7.17%, Co = 0.3% (E. Olsen, analyst: X-ray fluorescence method). Total weight: 204 grams at present. Original finder cut off a small slice. Original weight estimated at 230 grams. Circumstances of find: Found by unnamed prospector, who, in 1960, left it with Mr. James Minette, mine geologist for U.S. Borax Co., Boron, California. Mr. Minette sent it to the Field Museum, Chicago, Illinois, in late 1973. Comments: Polished section studied by Dr. V.F. Buchwald of Copenhagen; it is a highly shock-altered iron of the crater-forming kind. Its location, about 680 km west of the Canyon Diablo find, and the absence of a known and verified meteorite crater in the area, strongly suggest it is a piece of transported Canyon Diablo meteorite. Superficially the piece looks very much like Canyon Diablo individuals, with small pockets of adhering clay in surface flutings. Its bandwidth, however, is at the lower limit of values reported for Canyon Diablo, 1.5-2.5 mm. The specimen is located at the Field Museum of Natural History, Chicago. Source: Dr. E. Olsen, Field Museum of Natural History, Chicago, Illinois, USA.